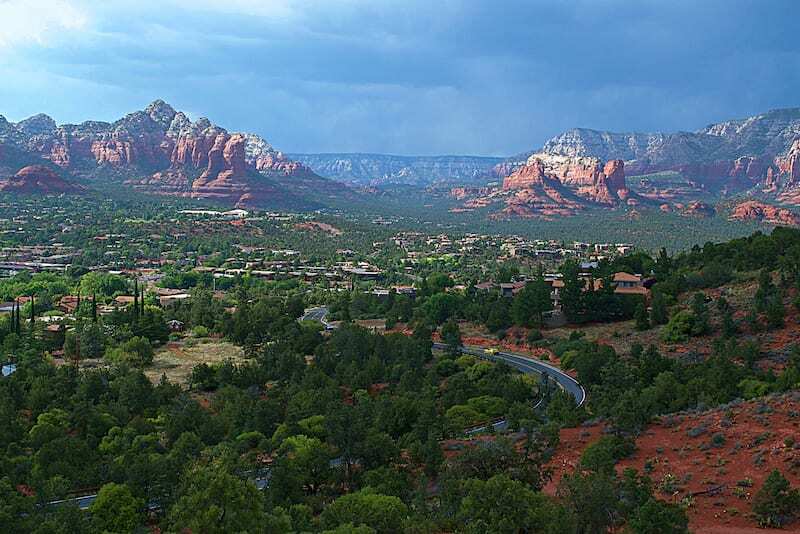 Have you seen the red rock mesas of Sedona but aren’t enough of a hiker, shopper or golfer to make it a destination? 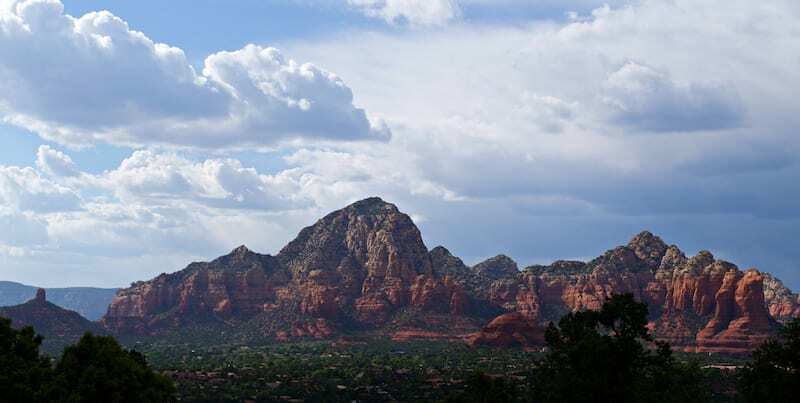 Have no fear, we offer you our Sedona Quick Trip Tips: Red Rock Photos Without the Fees. 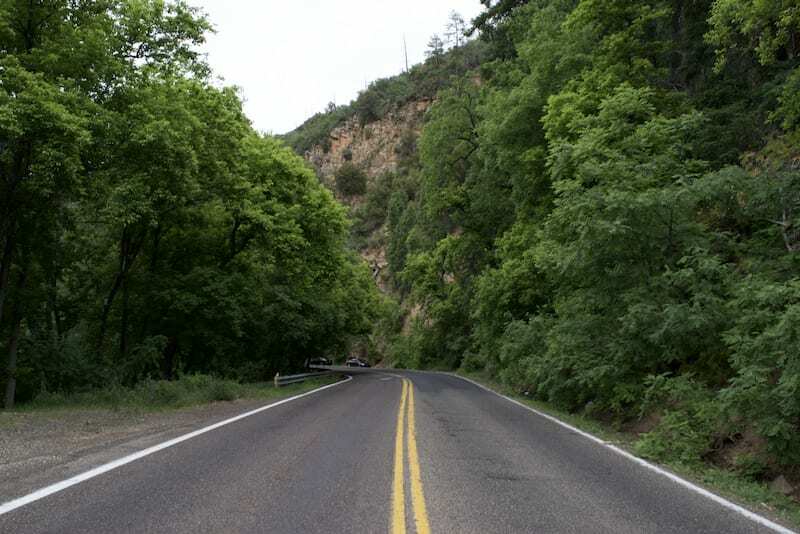 Sedona is only a ½ hour detour from any trip you are making if you are going through Flagstaff so why not drive through. 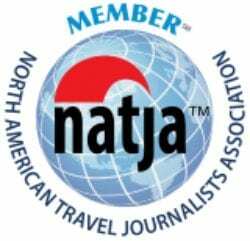 You can pair Grand Canyon and Sedona, Antelope Canyon and Sedona, LA road trip and Sedona. How is that possible since Flagstaff is 45 minutes away from Sedona? You bypass a bit of I-17 on 89a and 179 and it only costs you a ½ hour of your time for red rock views. 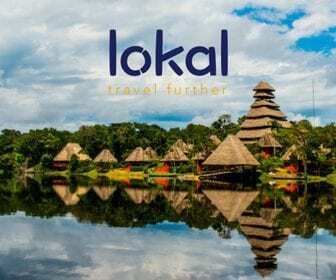 We’re not talking about destination travel but a commando raid in and out of an amazing natural wonder. We started from the top of 89a and dropped into Oak Creek Canyon. Not only does running the bypass this way provide an opportunity for bad puns, but you get epic views as you come down the mountain. You begin in a ponderosa pine forest at ~8000’. The road drops quickly, with many switchbacks, into pinon oaks that form a green tunnel down the mountain. Soon you are in the Oak Creek valley. I have to admit that ponderosa pines and Oak Creek seemed more green and wet when I was living in Tucson than just coming back from Colorado, but the first glimpse of red rock still takes my breath away. You pass by a patchwork of different parks with different administrations and fees. One thing is for sure, nobody lets you park for free. 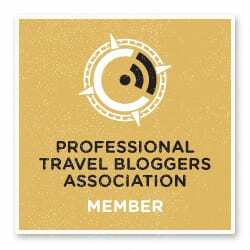 Apart from the general principle of the thing, it’s hard to figure out who to pay and how to pay. My suggestions, unless you have a destination in Sedona keep driving through this section. There are easier pickings and parking coming up. One way to find a parking spot is to explore some of the shopping in Sedona. 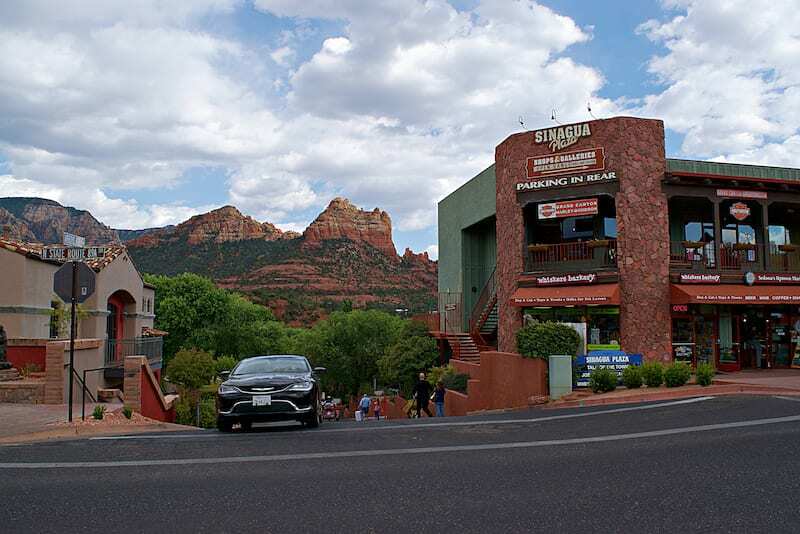 There are several small curio shops on the way into town and the first major shopping area “Main Street Sedona” has reasonable public lots as well as red rock views. Where 179 crosses Oak Creek is the Tlaquepaque Arts and Crafts Village which has some fun gallery type shops but limited red rock views. We went wedding ring shopping here a few years back thinking it had the right blend of artistic flair and weird to capture our nature. 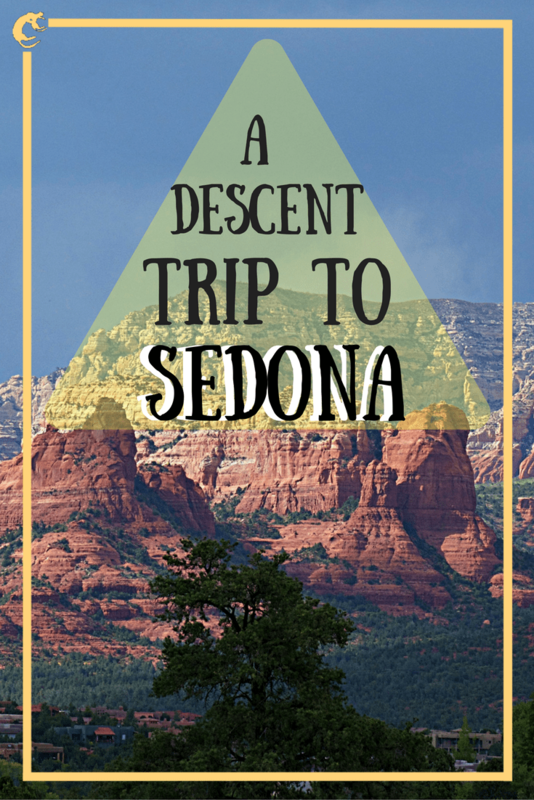 Our insider suggestion for commando sightseeing is the Sedona Airport Mesa. You can drive up the mesa and get amazing views without the investment of time and hiking or the hassle of permits. There is a dollar donation box at the vista if you care to give, which is super cheap and logistically simple. 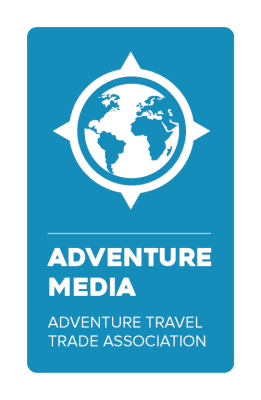 There are also about two miles of relatively flat trails that go around the top of Airport Mesa and down a couple of hundred feet to the saddle. 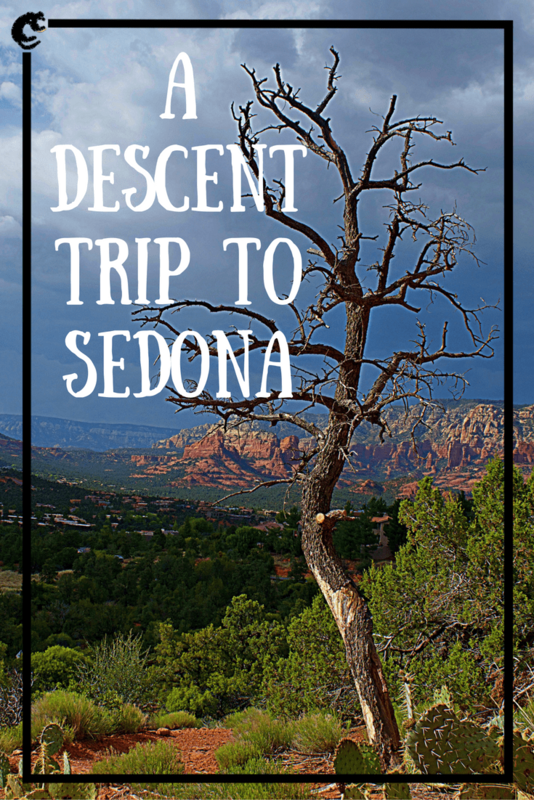 We took all the shots in this series from the Airport Scenic Lookout and the short hike up to Sedona Vista. Also of note, this is a popular place for sunset photography since you don’t have to worry about a night hike back down the mountain. We wanted to mention that 179 heading out of town has a fantastic bike lane in both directions. 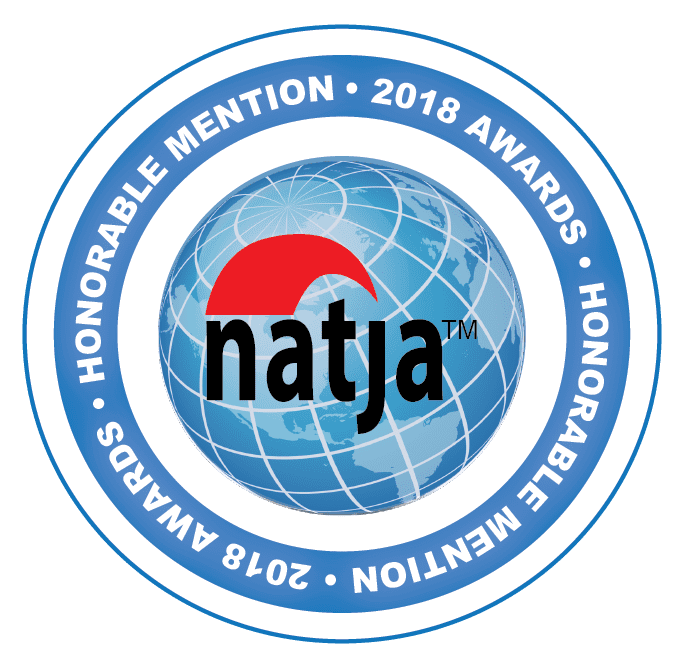 It runs about 11 miles from the airport to the Red Rock Ranger Station with ample parking at Tlaquepaque or the Outlet Malls in the Village of Oak Creek. 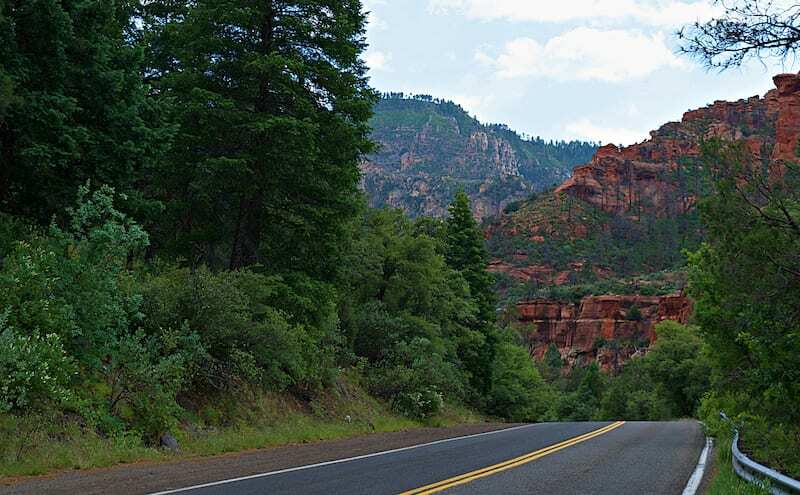 The road is in great shape with undulating hills that give great views of Bell Rock and Cathedral Rock and many other mesas in the Sedona Valley. The bike lane continues south past the airport on 89 but the town changes character there. South of the airport is a little town where people actually live while north of the airport is tourist traps, flash houses, and resorts. 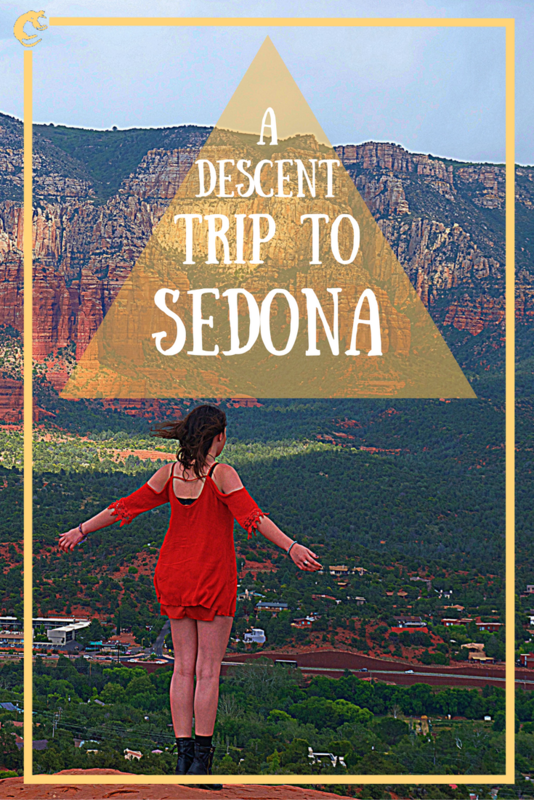 You can bike through a small town anywhere but it’s hard to find another place with the strange, vortex driven, supernatural opulence of Sedona. Next time through town we will definitely plan on making this ride. I have gone to the Oaxaca restaurant several times which is right in the Main Street area. You are definitely paying for the view, yet I keep coming back. This time, we stopped in at Gabriela’s Taco Shop in Camp Verde. It was a lot less assuming than Oaxaca and easier to get into. The food was solid and the smothered green chile carne asada burrito was masterful. 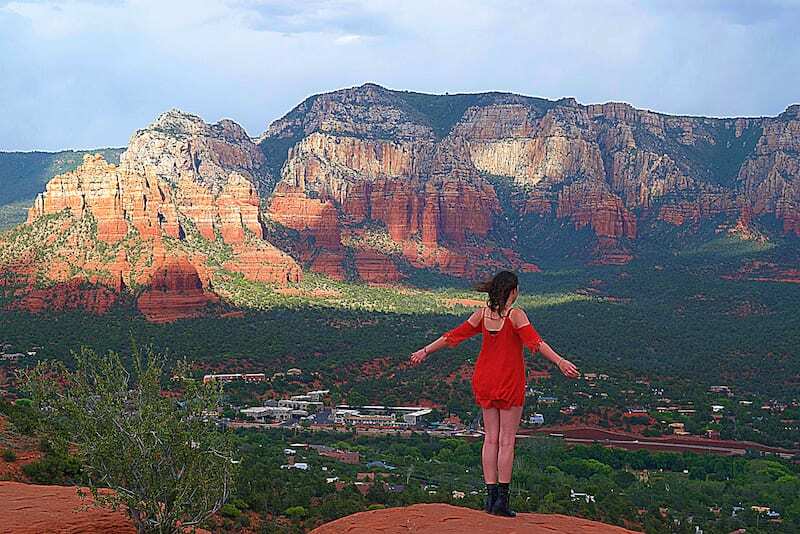 There are so many good reasons to visit Sedona from it being a spiritualist mecca to being absolutely stunning or simply watching too much Road Runner as a kid. 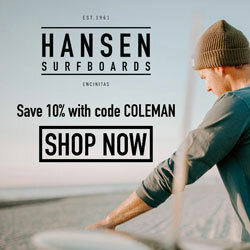 No matter what the reason is, you can get in and out of town quickly if that is what you want. 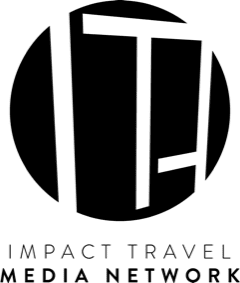 Cutting that corner at I-17 and I-40 will buy you enough time for a quick tour. 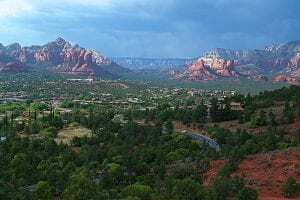 There is plenty to do in town too that’s worthy of a full day trip to Sedona if that is more your speed. No matter what you choose, the red rock experience will be one you’ll remember.